If your professional web site is in dire need of a thorough facelift, then before you jump the gun, consider performing a content audit first. Start by meticulously going through all of the existing content in each section and subsection of your web site and create a detailed inventory of everything you have there. You may discover that some of the content is old, outdated, inconsistent, redundant, or no longer accurate. Having a strong content marketing audit strategy will help you spot all of these issues in advance. Just be prepared to put a lot of time and effort into this process because content auditing is a tedious process, but nonetheless it’s an important prerequisite for successfully and seamlessly redesigning your web site. What’s the Point of a Content Audit? The reason content auditing is such an essential task to undertake before redesigning your web site is because it helps you better understand your own content and it affords you the opportunity to get organized before big product launches or promotional changes. Organization is key to creating an affable web surfing experience for your end users. Not all site visitors are bound to convert to paying customers, but it doesn’t hurt to have a web site that’s easy for potential customers to navigate. You should consider all users as potential customers, even if they accidentally stumbled upon your web site through a referral link. Make sure your content is attention-grabbing and relevant. 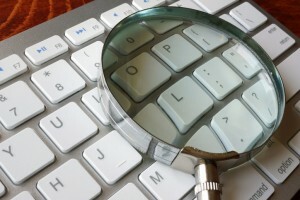 What Does a Web Site Content Audit Entail? To begin auditing your web site, you need to first create a web site content audit checklist. The best way to do this is by using an Excel spreadsheet that encapsulates everything that’s on your web site. If your web site is vast and has a great deal of content in each section, it might even be advisable to create separate spreadsheets for each section and then break these up into small subsections. This will help keep you organized and it allows you to check off each task as you complete it in an orderly fashion. Throughout this process, you should check the accuracy of your content, reevaluate your keywords, replace or remove irrelevant keywords and content, check for broken links, and even revise older content pieces to make sure they’re fully up-to-date. Reviewing your web site analytics helps you determine which content should stay as is and which content needs to be modified or completely removed. You need to ask yourself whether the older content on your site has stood the test of time and whether it’s still useful to your users. You can determine this by analyzing the amount of times people have clicked on each piece of content on your site and how long they stayed on that page, as well as examining the bounce rates for each article. Use this information to create insightful and marketable content that’s designed to reach your target audience and increase your conversion rates. Which Content Provides Maximum Traffic? Simply by combing through the content on your web site, you should start to see a few important patterns emerging. You’ll notice which pieces of content are the most popular and which ones are actually hindering your web site from turning out the best possible conversion rates. One of the best content auditing practices for your web site is to simply refresh the look of your web site from time to time and create clear and concise navigational tools and menus for your visitors. It also helps to add a search bar that’s prominently displayed so that users can simply type in what they’re looking for. Do your research and make sure all of your content contains relevant keywords that your target audience is most likely to use not just in search engines but on your web site as well. Keep monitoring these keywords and update them as often as possible to ensure high SERP rankings. At Numero Uno Web Solutions, we know it’s not always easy or convenient for business owners to perform their own web site content audits. This is a very time-consuming and intricate process that takes a great deal of experience, effort, and patience. Whether you’re looking to revamp your existing web site or need help with building up a new web site, our highly skilled SEO staff has excellent resources to complete the web design process to your satisfaction. We’ve helped businesses throughout Toronto, the GTA, and we even have a few U.S locations including Texas, Massachusetts, and Florida in our repertoire. For more information on how we can help improve your business’s web site, please call us at 1-855-SEO-XPRT.